Home / Agents of SHIELD • Conventions • Marvel • Signings and Cons • The Lovely Erica / [FINAL UPDATE] NYCC Signings and Exclusives! Back to the Future’s Pepsi Perfect! Marvel exclusives! [FINAL UPDATE] NYCC Signings and Exclusives! 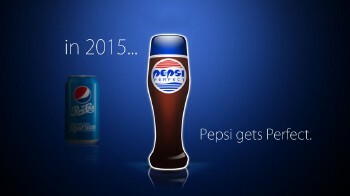 Back to the Future’s Pepsi Perfect! Marvel exclusives! This year’s edition of New York Comic Con (NYCC) is so big, I’m breaking up the schedule highlights into two parts: New York Super Week/NYCC panels and NYCC autographs/exclusives. 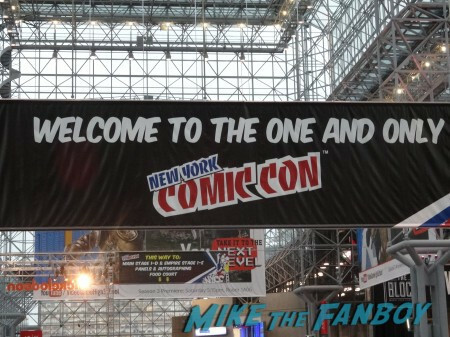 So don’t forget to check out what’s happening with NYSW and the NYCC panels! 9/23 – Added new Mashashi Kishimoto signing, updated exclusives (Factory Entertainment and first and second wave of Funko) and added new section on booth activities. 9/25 – Added to the autograph schedule (author Rebecca Sugar), the exclusives list (final wave of Funko, VIZ Media and the new Agent Carter poster exclusive to the Marvel booth) and to the booth activities (Penguin/Random House and VIZ). 9/28 – Added instructions on how to get into the Funko booth, added Diamond Select exclusives and Nickelodeon booth plans. Ksenia Solo has cancelled and is being replaced with fellow Lost Girl Emmanuel Vaugier. 10/1 – Added Bandai exclusives and booth schedules for Dark Horse and IDW. Also added a few names to the autograph hall list. 10/5 – Final update! Follow me on Twitter (@Cambear) for more news since I will begin traveling and can’t post everything. Added Marvel exclusives, Pepsi Perfect giveaway, Tokidoki signing times. Warner Bros is back! Not only are they bringing a huge chunk of major shows, they are doing signings for each of them! Not only that, but Ash vs. Evil Dead, From Dust Till Dawn and The Librarians are all doing signings with the full cast! It’ll be a crazy in the autograph hall this year! Before you get too excited, please, PLEASE, verify if the signing is ticketed or when to line up, etc… Policies vary greatly so check-in ahead of time to learn the ground rules. In previous years, NYCC held an online lottery for the most high-profile signings. Since many of the WB signings are a half hour in length, they may do that again. I’ll keep you posted as soon as I hear anything! Also, many of the multi-author panels will have signings in the autograph hall at the book store. Check there for a schedule and any signing requirements. [UPDATE] Stephanie Meyer (Autograph hall) – She’s still listed as having a signing, but there’s no additional confirmation with a specific time and place. I would suggest checking out the autograph hall first thing in the morning as any possible signing will be held there after her panel. 12:00-1:00 Neon Joe, Werewolf Hunter comic signing (DC booth in Artist Alley – the North Annex) – Signing for the comic which Adult Swim is turning into a show. 2:00-3:00 Kim Harrison (Booth #1828) – Bring your own books. 10:00-11:00 Ash vs. Evil Dead (Ash’s trailer on the inner roadway of Javits by the food trucks) – Visit Ash’s trailer on Thursday and Friday to draw for a winning ticket. 10:00-11:00 Mashashi Kishimoto signing – For the first 100 in line for the Boruto premiere at 11:30. 1:00-2:30 Logic and Steve Blum (FUNimation booth #542) – Tickets given out at Logic’s panel, FUNimation’s industry panel and the the FUNimation booth on Sunday morning. There’s a huge autograph hall so check out the name of some of the folks who will be present to meet the fans. These folks will be charging a fee, but the good news is that there are also probably photo ops (for a fee) as well. If they are not scheduled for the full weekend, I’ve noted the days you can find them. The photo op schedule is now live so check it out here. Don’t forget there’s a huge exhibit hall and the whole north annex with Artist Alley and other booths. While NYCC doesn’t have the tsunami of toy exclusives, there are some to be had so I’ll update the major ones. Bandai – Just posted their list of limited edition goodies which you can see here. Nightmare Before Christmas Minimates Deluxe Box set with Lock, Shock, Barrel and Battle-Damaged Jack. Factory Entertainment (#1759) is also bringing a bunch of exclusives that may be familiar to those who went to San Diego. Funko is taking its first booth at NYCC! In past years, other booths sold the Funko exclusives and some will continue to have a few. But most of the following will only be at the Funko both (#722) which you can check out in more detail on their blog. Also check out the blog for how to get a ticket to make a purchase at the booth. Basically they will hand out tickets twice a day and there’s a limit of no more than 1 of any item. May the Force be with you! 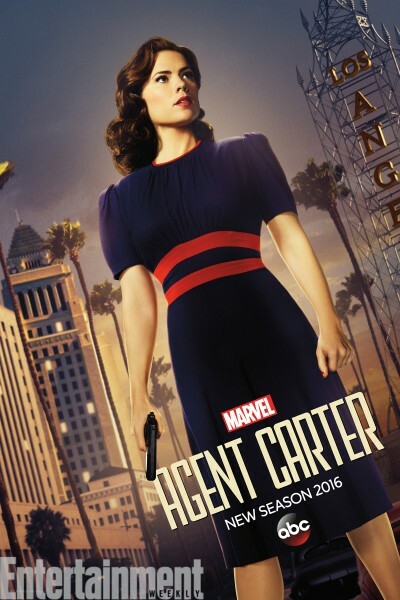 [UPDATE] Marvel – Entertainment Weekly previewed the new Agent Carter poster that they will be handing out exclusively at NYCC. Marvel will also have an exclusive set of Skottie Young pins and new exclusive shirts and hoodies as well. VIZ Media – There’s a long list of exclusives including a bunch of Naruto related items in celebration with the creator’s first visit to NYCC. NARUTO Vol. 72 w/ Variant Cover $10 – series finale! Here are some highlights of fun things happening at various booths! [UPDATE] BBC America – They are hosting a Clone Club meet up at 3 pm on Sunday so all fans of Orphan Black should head over! D3 Go! – The makers of Marvel Puzzle Quest will be on hand to give demonstrations and raffle up some nice prices in the last hour of the show each day. Dark Horse – The full signing schedule and instructions are posted up on their blog. They have a ton of signings scheduled, a few mysterious ones and one with…Frank Miller. Clearly the last one will be wristbanded. Good luck! Disney Publishing – The full list of author signings and giveaways isn’t out yet, but authors Margaret Stohl and Alexandra Bracken will both be signing multiple times over the weekend. IDW – Bronies and many others should check out get the IDW signing schedule. Nickelodeon – Many costumed characters will be dropping by for photo ops (TMNT, SpongeBob, Rugrats) and fans can “animate” their favorite characters by jumping into the booth where the characters will mimic fans’ every move. The video results will be emailed back to fans to share. [UPDATE] Tokidoki – Artist Simone Legno will be signing (sketching) on Friday and Saturday from 3 pm to 4 pm. Head to the booth first thing in the morning to pick up one of 60 wristbands each day. Tor – The publisher has released its booth signing schedule which includes: John Scalzi, David Mack, Fran Wilde, Ilana Myer, Ian McDonald, Seth Dickinson, Peter Orullian, Charlie Jane Anders, Catherynne M. Valente and Michael Swanwick. So much fun ahead for NYCC and NYSW! Check back as I update with new news! 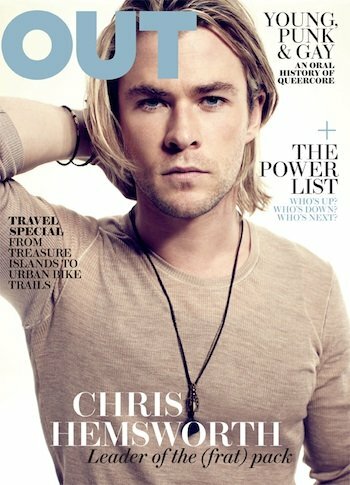 Thor Star Chris Hemsworth Covers The May 2012 Issue of OUT Magazine! Whosoever Holds This Hammer, If He Be Worthy, Shall Possess The Power of Thor! Robert Downey Jr. Heads To Korea On The IRON MAN 3 Tour! Avengers Awesomeness! Photo! Autographs! And More! TV Heartbeat! Daredevil returns! Fox gets musical again! Shadowhunters renewed! Cool.. Lucky you! wish i could be there to see #TheLibrarians .. especially my favorite Christian Kane.. but will see him at the end of next month at the Wizard World Comic Con in Tulsa… Oct 23-25, 2015 he will be at the Ft Lauderale Wizard World. Oct 2-4, 2015..